Mtarfa Glass was founded in 1981 in Malta, by Paul Said, brother of Joseph Said, owner of Mdina Glass. Both brothers were originally trained by Michael Harris at Mdina Glass. 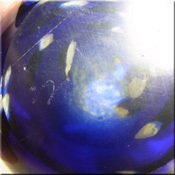 Mtarfa Glass is similar in form to Mdina Glass and other Maltese glassware, consisting of free formed glass made in colours taken from the surrounding sea and landscape of the Medditerranean. Mtarfa Maltese purple + white glass vase, signed and labelled. Mtarfa Maltese pink, purple + white glass vase, signed and labelled. 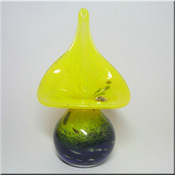 Mtarfa Maltese yellow + blue glass 'jack-in-the-pulpit' vase, signed and labelled. 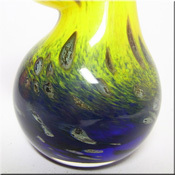 Mtarfa Maltese yellow + blue glass vase, signed and labelled. 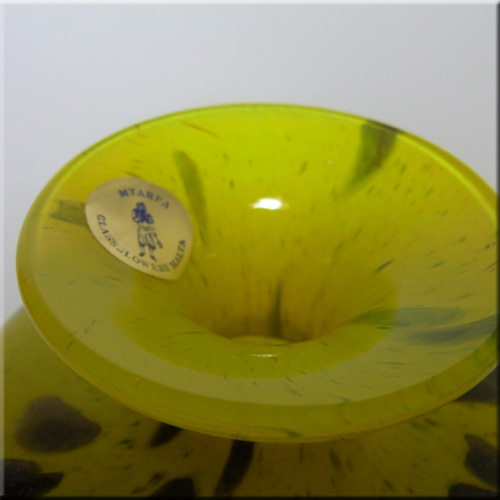 Mtarfa Maltese orange, white + green glass organic vase, signed and labelled. 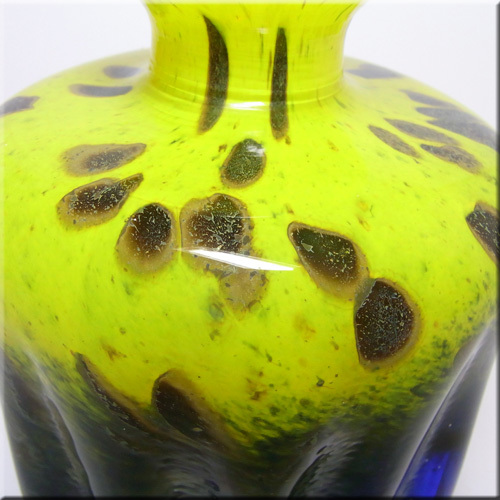 Mtarfa Maltese orange, white + green glass organic vase. Mtarfa Maltese purple + white glass organic vase. Mtarfa Maltese blue iridescent glass organic vase, labelled. 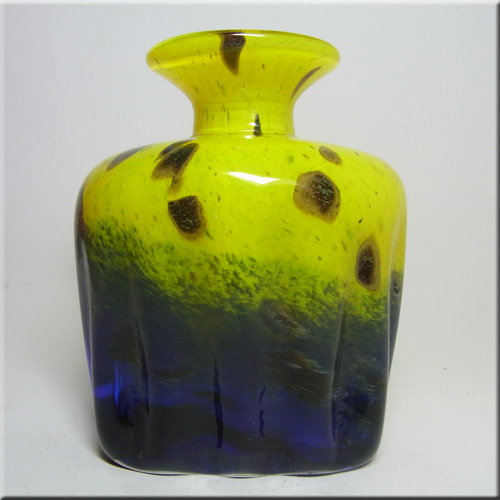 Mtarfa Maltese blue + yellow glass vase, signed to base. Mtarfa Maltese pink + green glass perfume bottle, signed + labelled. Mtarfa Maltese pink glass vase, labelled. Mtarfa Maltese pink, white + green glass vase. Mtarfa Maltese pink + green glass vase. Mtarfa Maltese blue + white glass 'jack-in-the-pulpit' vase. 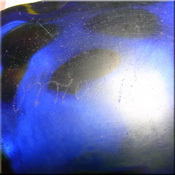 Mtarfa Maltese blue + black glass organic vase, labelled. Mtarfa Maltese purple + white glass organic vase, labelled. Mtarfa Maltese blue + white glass organic vase. Mtarfa Maltese pink glass organic vase, labelled. Mtarfa Maltese pink glass organic vase. Mtarfa Maltese purple + white glass organic vase. Mtarfa Maltese purple + white glass organic vase. 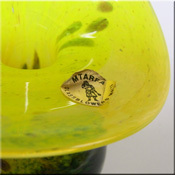 Mtarfa Maltese red, black + gold leaf glass vase, signed + labelled. Mtarfa Maltese pink + green glass vase. Mtarfa Maltese pink + green glass snail paperweight, labelled. Mtarfa Maltese sandy glass vase. Mtarfa Maltese sandy glass vase. Mtarfa Maltese white + yellow iridescent glass organic vase.